There is no doubt about it: the Internet has become the most powerful force in the world. It is a place where retailers can promote their promising new business, where people can meet like-minded individuals, where artists can share their works, and where entrepreneurs can find new opportunities. The World Wide Web has created numerous opportunities for all kinds of people. But how can a retailer harness this massive force that we call internet? Simple. If a marketer wants his company to surpass its brick-and-mortars status he must invest in a website, brand his business, work hard to expand its presence on social networks like Facebook, Twitter, Pinterest or Google+ and also create a loyal community. SEO may have changed over the years, but one thing has remained the same: backlinks are still the backbone of all SEO practices, because they determine the Domain Authority and Page Rank (an algorithm developed by Moz) of the page. These parameters are essential because they show how credible the page looks in the eyes of Google. Determine what type of sites are linking to your competitor’s pages and acquire similar links for your own. Alexa is one of the most accurate tools for determining the volume of traffic that comes to a website. Things are quite simple with Alexa: the lower your ranking, the higher the amount of traffic. If you subscribe to Alexa you will be able to check out a lot of interesting things like backlink history, successful keywords, and overall ranks. It may not be the nicest thing to do, but spying on your competition can help you understand what you are doing wrong. Every website starts with keyword research (or at least it should). 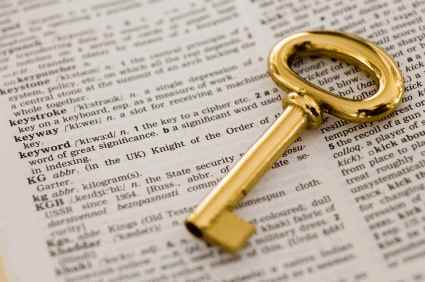 Before you can decide on a name, or niche, you must conduct thorough research to determine which keywords will be profitable for your business. If you do not choose wisely, you might never be able to get any conversions. determine whether or not you could top that. You can also identify keywords by spying on newcomers. You can do this by checking Google Alerts or Talkwalker Alerts. Now that we have determined the three most important things that you should be keeping an eye on, let’s discuss three Competitive Analysis Tools that will help you with the process. 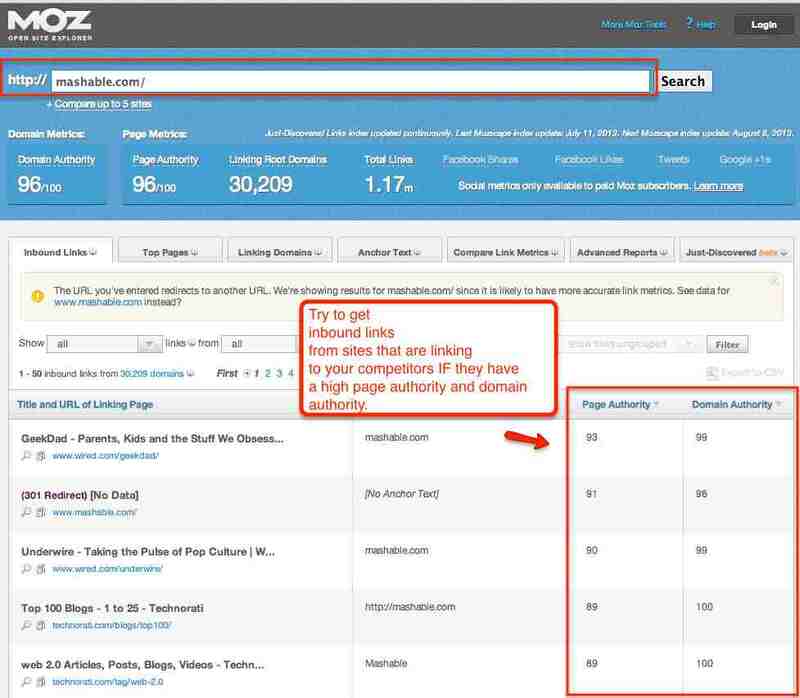 MOZ has been developing excellent SEO tools for quite a while. Many webmasters consider it to be the holy grail of competitive SEO, and that’s just an understatement. Not only does MOZ feature an incredibly powerful set of tools, but it is also powered by a great BLOG, where experts share their knowledge. Although I will only focus on the Open Site Explorer, it is safe to say that all the tools are extremely useful for presenting and monitoring analytics, enhancing SEO efforts and branding your business. Open Site Explorer is one of the four free tools which will enable you to check link popularity, and monitor existing backlinks. If you are trying to promote your website with the help of a guest blog posting service, you should definitely keep an eye on the links that you create. The free version (because there is also a PRO paid version) can help you predict Page and Domain Authority, calculate total number of inbound links and determine the domain’s ranking potential (with the help of over 40 parameters). I recommend you to “abuse” the Total Links feature, which will show you all the links that a site has. For the reasons stated above, and many other, Open Site Explorer is one of the best tools for competitive intelligence and targeted link building. Competitors will never reveal their success stories for free, but Raven Tools can definitely help you uncover them. The Raven Company has understood how important it is to break down your competitor’s SEO strategy, and this is why it has come up with numerous tools. Two things I really appreciate about the Raven Suite is the user-friendly interface and seamless integration with third party tools (like MajesticSEO, Facebook, Twitter, Wordtracker and SEM Rush). 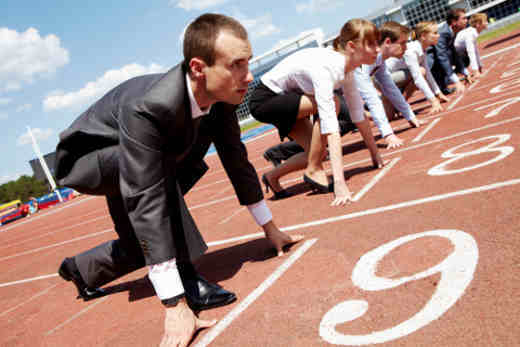 The Competitor Manager will track and organize all selected competitors, analyze quality scores, pages, links and domain statistics. For easier tracking you can also add different tags and export relevant data. Many people use the Site Auditor, Site Performance and Research Central tools for their own page, but these three gadgets can also offer valuable data for any competitor you want. You can analyze the performances of their Site with the Site Auditor, compare key metrics side-by-side (local listings, overall quality and social integration) with the Site Performance Tool, and if you really want to take things to the next level, the Research Central feature will collect extensive data from the domain. Last but not least, after you are done with your analysis, you can create beautiful reports and sheets to turn your efforts into something actionable for your online campaign. The best way of learning from your competition is by identifying the most powerful ones, and gaining competitive intelligence from them. As I mentioned earlier, keyword research is a vital aspect of SEO, and if you manage to determine the most powerful contenders, you can use important data from their keyword strategies. 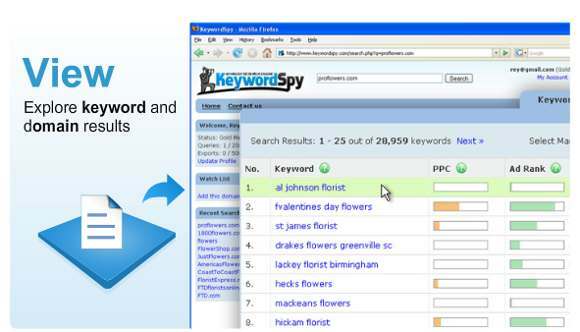 Keyword Spy is a free tool that can offer Organic Competitors reports. All you have to do is to enter the targeted keyword or phrase in the search box, click enter, and go to the Organic Competitors tab. By doing this you will find companies that you might have never thought off, and also see how different keywords behave. This tool is something you will want to have in order to dig deeper. There are definitely many other tools that you can use for competitive analysis, but the three mentioned above are probably the easiest to use, and the most accessible for those who are not yet very experienced with SEO. If you want even more, see Top 11 Most Efficient Tools for SEO and Competitive Analysis. What tools do you use for competitive analysis? Anna Robeson is an online entrepreneur and social media specialist who loves everything related to technology. In her free time she enjoys writing on different topics related to SEO, SEM and Internet Marketing. Anna is always open to advice and feedback from experienced retailers and bloggers. If you liked her article you can follow her on Twitter. Have used Keyword Spy and Alexa. Never used Raven Tools. Definitely something to check out! Thanks for the great information! Very helpful information. Now to utilize it. Thanks. That is a great post. I use Opensiteexplorer almost everyday to monitor the rankings of my site as well as my competitor’s site. The tool can do a lot of things and the best part is that its free. What a great share Anna. I admit not being a big SEO person but I also don’t consider myself a small business competing with other sites. I know SEO is important and in the beginning when I created my blog I did the appropriate keyword research to of course locate the keywords for my target audience. That’s changed over the years though so I just do the basics now. 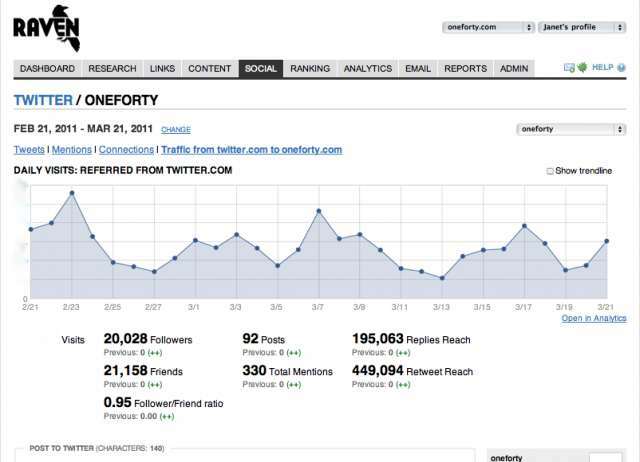 I’ve used Moz and Keyword Spy when I was doing more affiliate marketing and you’re right, these sites work extremely well and I can only imagine how much they’re improved over the years too. I’m glad you appreciate this post, Adrienne. I felt it was very valuable to me and my readers. Unfortunately, someone with a vendetta has turned this post in to Google claiming – incorrectly – that my site is part of some blog network. Who knows what impact this will have on all the fine content and businesses I have covered for going on six years. Google is wrongly assuming I am part of a blog network. I am not. Or that I am in a link exchange. I have never been. Or that I sell links. There are NO paid links on this site! Now more than ever I need the CommentLuv community to share my content – maybe even use Twitterfeed to support me – and comment in this post. This is a watershed topic for bloggers and small businesses everywhere. If anyone can cause your site to be penalized, Matt Cutts declaring guest blogging dead will actually come true. If this is the kind of “bad” content Google wants to eliminate – and indeed already does hide from us – then the best content is no longer indexed on Google and we need to use a different search engine. As soon as I find one that does not use Google’s data I will share that with everyone so we can spread the word. Thanks for explaining well about this article. 🙂 I want to know that how much keyword density can rank a post on 1st page of Google?? Thanks for mentioning our free alerts!For our website I use a combination of Google Adwords and Analytics for keyword research and site measurement as well as alerts to receive notification results for my monitoring. some are new for me but all are good!now days Google replaces their ad word tool with keyword planner but it also work effectively.moz and open site explorer are always rocks for me. I have seen that Adwords was replaced with the Keyword planner and I am actually happy with the change. yes anna, google always trying to give best for users. Unfortunately, both ‘Open Site Explorer’ and ‘Raven’ are too expensive (both are $99 per month) for a single company looking to do occasional competitive analysis. Slightly cheaper is Ahrefs.com at $79 per month but nowhere can you find a reasonably priced service for, say, $20 per month. The open site explorer is free, for the paid version you get a lot of other features. Well I take every thing from google analytic cos its better than others as you can not market anything without your competitor analysis. Nice sharing thoughts and lovely writing. hi Anna, i really like a moz because it’s give me much more information compare to others and i use daily for research of my site. thanks for other suggestions. Keyword Spy seems to be good tool.I will be using it for a while and then will be sharing my review for it. Please do. Keyword Spy is super fast and efficient, I am eager to hear your impression of it. Thank you for the refresher… While I use Moz most of the time now, its probably time to check back with Raven for updated serps! I have to say that Raven is my favorite out of all the tools. Maybe it’s the design, or the usefulness of the tools, I don’t know but I keep coming back to them. I mostly use Moz Tool’s and Google Adwords keyword tool for mindmapping my campaigns length, ROI, and success ratio. I also used Google Adwords in the past, but now I am trying out new tools (like Market Samurai). Nevertheless, the free tools by Moz are truly exquisite.